Say hello to your newest friend with flavour: our Creole spice blend! We've created a secret mix of herbs and spices including paprika, oregano and lemon pepper for this tasty tribute to the famous New Orleans cuisine. 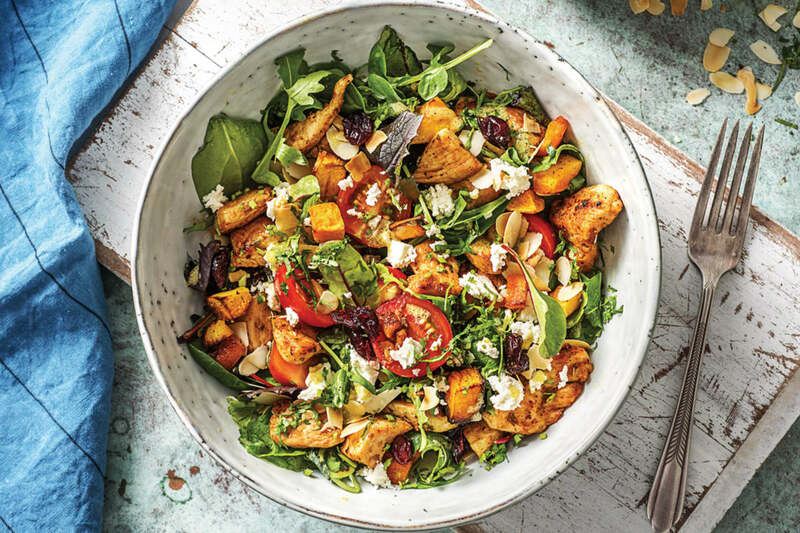 Tender pan-fried chicken breast is the perfect vehicle to let this spice mix shine, and when you add roasted pumpkin, sweet currants and crisp greens you get a bowl of goodness! Preheat the oven to 220°C/200°C fan-forced. 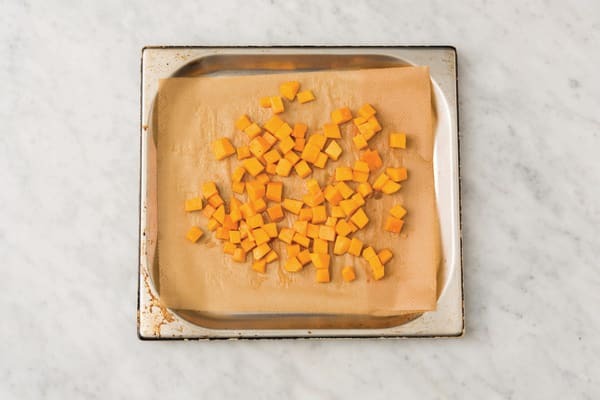 Place the peeled & chopped pumpkin on an oven tray lined with baking paper, drizzle with olive oil and season with the salt and a pinch of pepper. Toss to coat then spread in a single layer and roast for 20-25 minutes, or until tender. While the pumpkin is roasting, finely chop the garlic (or use a garlic press). 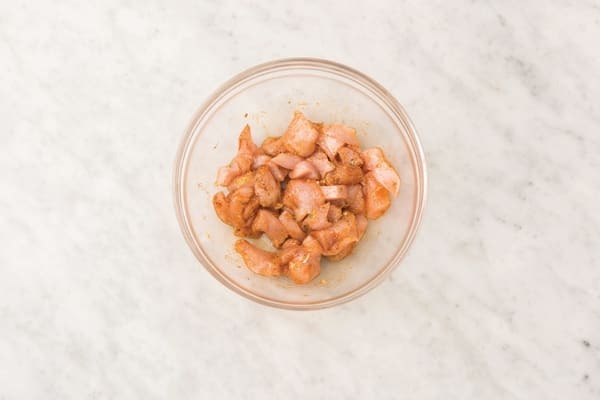 Cut the chicken breast into 2cm chunks. 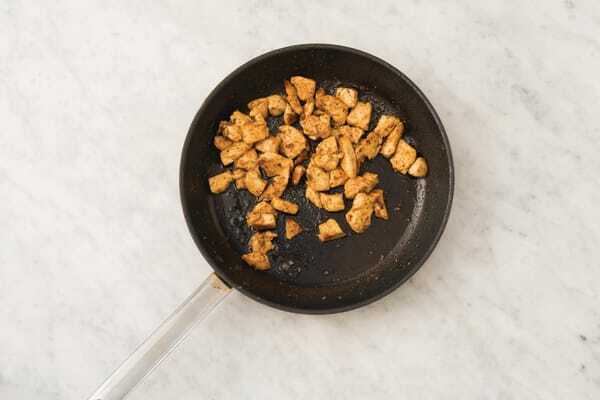 In a medium bowl, combine the chicken breast, garlic, Creole spice blend, a drizzle of olive oil and a pinch of pepper. Set aside. 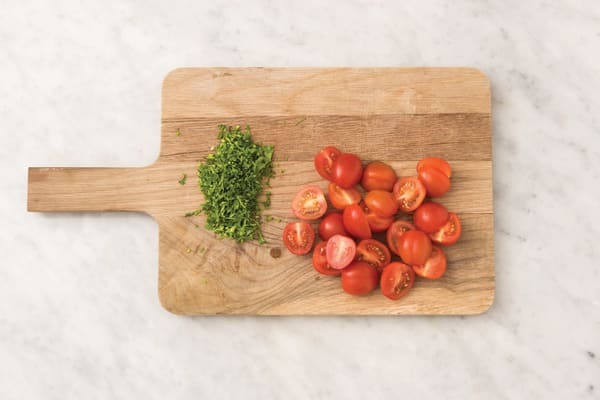 Slice the cherry tomatoes in half. Finely chop the mint. In a large bowl, combine a good squeeze of lemon juice, Dijon mustard (see ingredients list) and a drizzle of olive oil. Season with salt and pepper and set aside. TIP: Add as much or as little lemon juice as you like depending on your taste. Heat a medium frying pan over a medium-high heat. 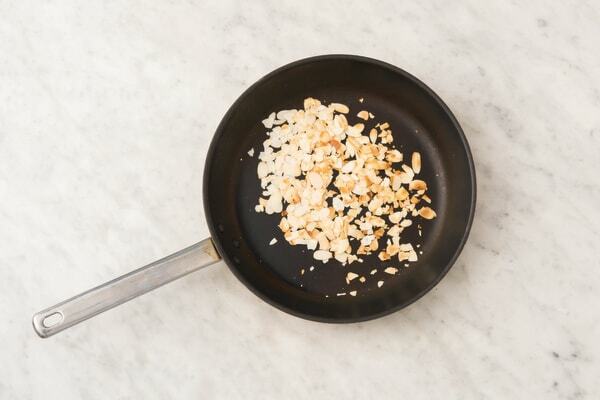 Add the flaked almonds and toast, tossing occasionally, for 3-4 minutes or until golden. Transfer to a plate. Return the frying pan to a medium-high heat with a drizzle of olive oil. Add the chicken breast and cook, tossing occasionally, for 4-5 minutes or until browned and cooked through. Add the roasted pumpkin, cherry tomatoes, mixed salad leaves and currants to the dressing and toss to combine. 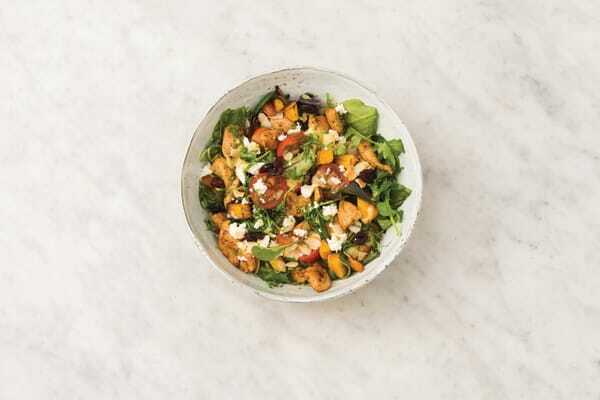 Divide the salad between bowls and top with some of the Creole chicken. Crumble over the fetta and garnish with the mint and toasted almonds.